Our four days in Copenhagen have passed quickly, as they always do. Aside from dealing with a bit of illness, we have mostly had a very nice time in a very family-friendly city. 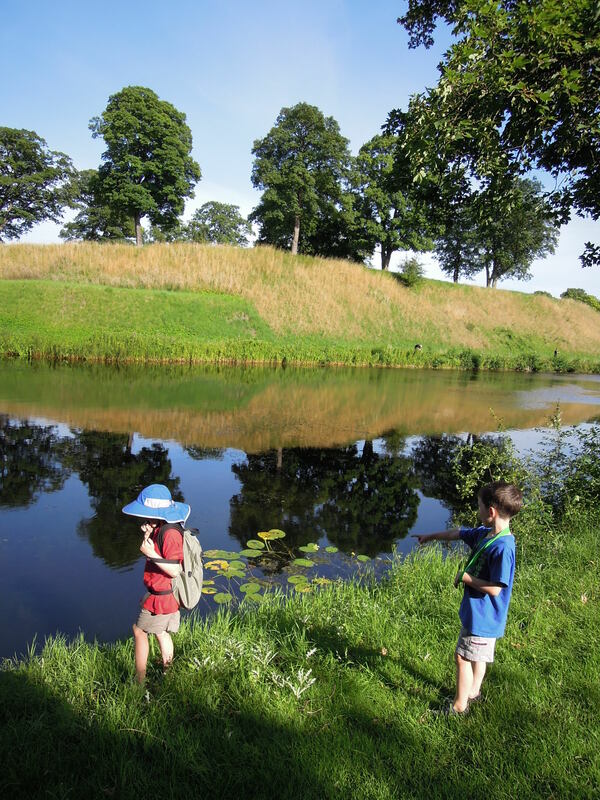 The kids loved Rosenborg Palace for its fish-filled moat and dragon play park. Stephen and I liked the developing food culture, which is young and energetic. We all had a great time at Tivoli, which is the nicest amusement park I’ve ever been to and is the oldest in Europe. I couldn’t capture the classic, grand feel of the park in photographs. The day was just far too grey. Landon craves any rides that are fast, spin or have anything to do with heights. Quentin can’t handle any of that. We accidentally selected a very fast pirate ship ride to start the morning off. It was going so fast that I had trouble getting a picture of the boys. I wanted to capture Landon’s happy “dog-with-his-head-out-of-the-car-window” look and Quentin’s expression of sheer terror. I should have opted for video, really. The mini-ships were orbiting a ship full of pirates that boomed cannons and laughed maniacally at all of the little toddlers and surprised parents. There are so many parks connected to parks in Copenhagen. The boys had many opportunities to run “off-leash”, check out ponds and chase birds. The trouble with traveling in Europe with two young boys is that I often feel like I have to hold onto their hands and keep them under control, so it has definitely been a treat to give them more freedom. Ah yes…I shouldn’t forget to mention Kastellet, which is an old fortress just off the water front. It also was a reasonable walk from our apartment. 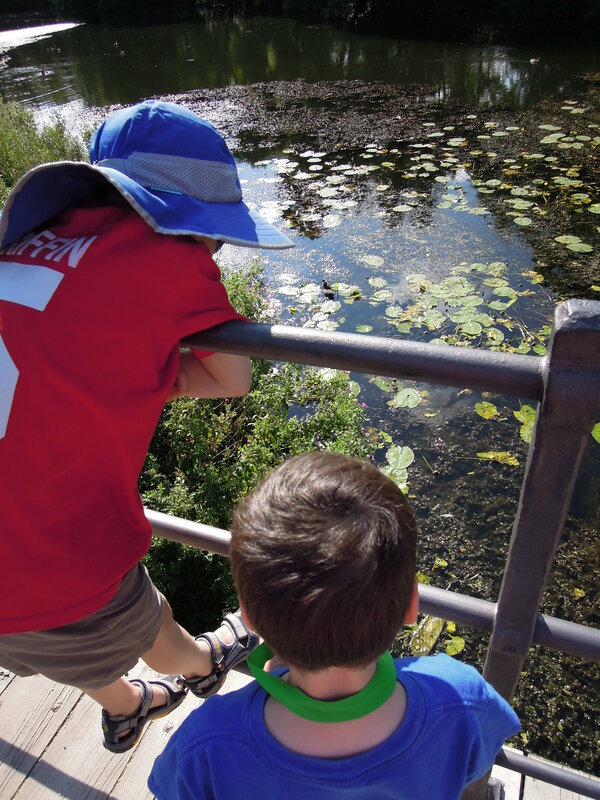 The moats were full of clear water, plants, fish (different species and sizes) and birds. The fortress itself wasn’t all that exciting (other than a really pretty church that bordered the earthen ramparts), but yes…the moat was awesome. We spent quite a long time just looking over the bridge into the water. Then we enjoyed a peaceful walk in the warm sunshine on a trail that followed the moat around the back of the fortress. I know it is not the most famous tourist attraction in Copenhagen, but the Kastellet moat really was a highlight for us. So! Tomorrow we are off to Belgrade. Strangely, I am not worried about the flight, although feeling calm has suddenly made me nervous. I am looking forward to our time in the Balkans, as I have been doing quite a bit of reading in preparation, strangely enough. I feel much more connected to Serbia, Bosnia and Croatia than any other place we have visited and the visit is still to come! One day I would definitely like to return to Scandinavia and I think that I’ll make sure to do some reading before I do. Oh yes, and I’ll save some extra money too. It really is expensive here. I forgot to mention that!